INEZA FOUNDATION : Community driven, philanthropic, and social enterprise Rwandan foundation. Provide educational support for the children and youth of Rwanda by building collaborative partnerships, sharing resources, skills and promoting social development through community capacity building. As of the month of July 2016 to date, Grace Rwanda/Ineza Foundation (GR/IF) has some news from Rwanda. 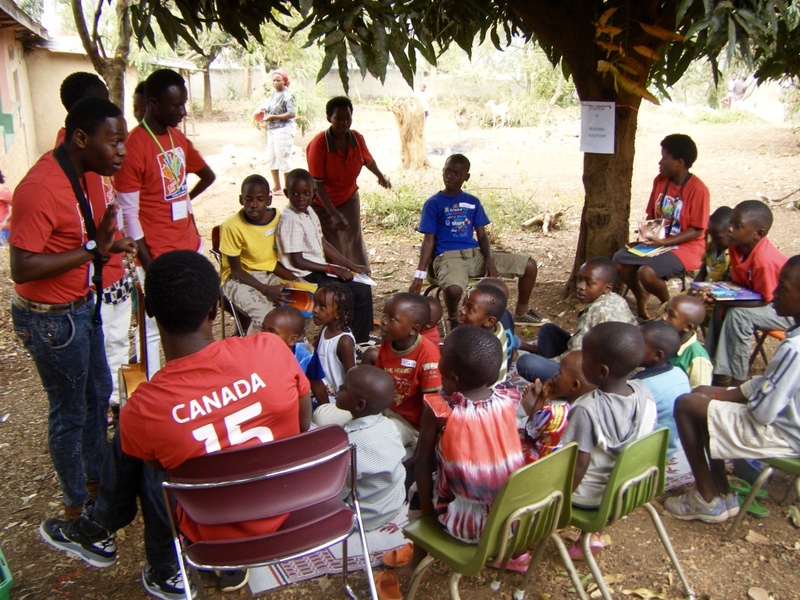 We hosted a Reading Camp form July 25 and 26th serving 100 children ranging from 3 years to 14years. We thank all international and local volunteers who made this event a success. Thanks to Developing World Connections (Canada) for joining GR/IF team in Kigali from the 12th to 26th August. The DWC Team of 14 people from Canada and the USA spent 10 days designing and building a wire fence around a lot in the Gisozi area in Kigali, where GR/IF plans a Social Enterprise Project for its sustainable development platform. They also toured the Country of thousand Hills exploring Akagera, Gorillas and Nyungwe Parks, and other historical sites. The DWC Team also visited the Tuzamurane Cooperative Carpentry Shop in Nyamirambo as part of GR/IF initiative to advocate for the Tuzamurane Cooperative members, who were rehabilitated from street lifestyle within the City of Kigali, and now are role model in their communities. These connections led to a fruitful ten days of training, knowledge transfer, and development outputs between the DWC, GRIF and Tuzamurane. Keep looking to our website for additional news about our Street Book Carnival events throughout the country in Rwanda during the month of September in collaboration with local government entities, and other partners such as Esperance Network, Save the Children, Publishers association, and others promoting a reading culture for children and youth.